In my White Gods post from four years ago I included numerous photographs of mummies from the Chinchorro culture of southern Peru and northern Chile, showing that they have brown and chestnut European hair, and not black Mongoloid Amerindian hair. Based on that observation I concluded that Caucasoids must have first come to South America at or before the time of the Chinchorro culture, which began around 7020 BC and ended around 1110 BC. This Chinchorro sample has been included in all of my admixture analyses since then, and all of those analyses have consistently shown it to be about 30% European. 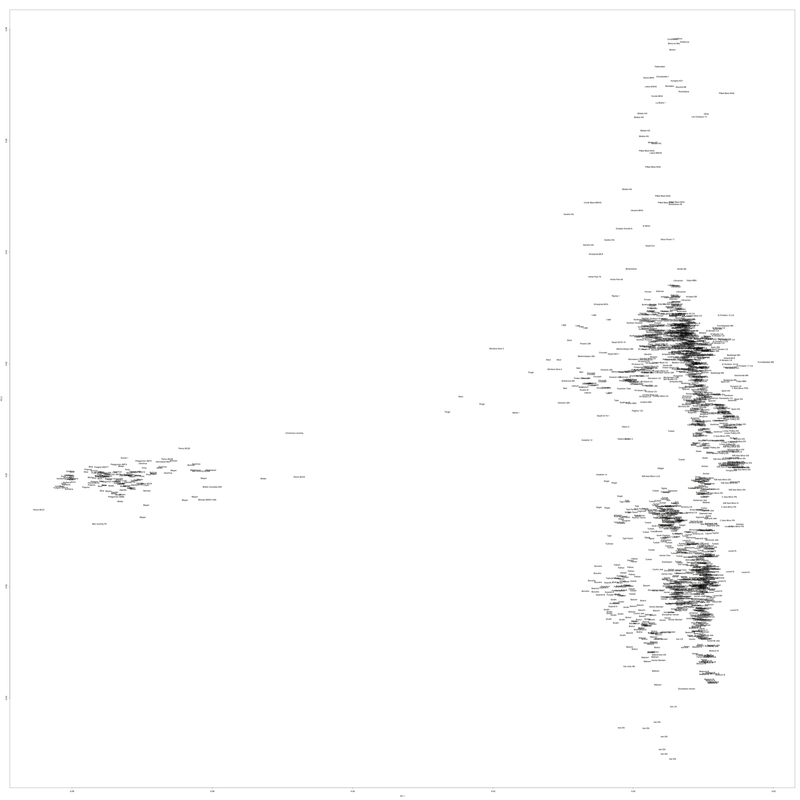 The principal component analysis whose results are plotted below confirms the findings of my calculator and admixture analyses. The analysis includes ancient and modern Amerindian and Caucasoid samples. Some of the Mayan, Bolivian, and Quechua samples, which my admixture analyses have shown to contain up to 17% European admixture, are shifted to the right of the more pure Amerindian samples, toward the Caucasoid samples. To the right of them is a Mixtec sample which is 23.5% European, and to the right of that Mixtec sample is the 30% European Chinchorro mummy sample, and also the Pericú sample BC23, which my admixture analyses have also consistently shown to have a significant amount of European admixture. Note that in this plot the Chinchorro mummy sample has a positive value of the second principal component, making it shifted in the direction of European rather than Middle Eastern Caucasoids. 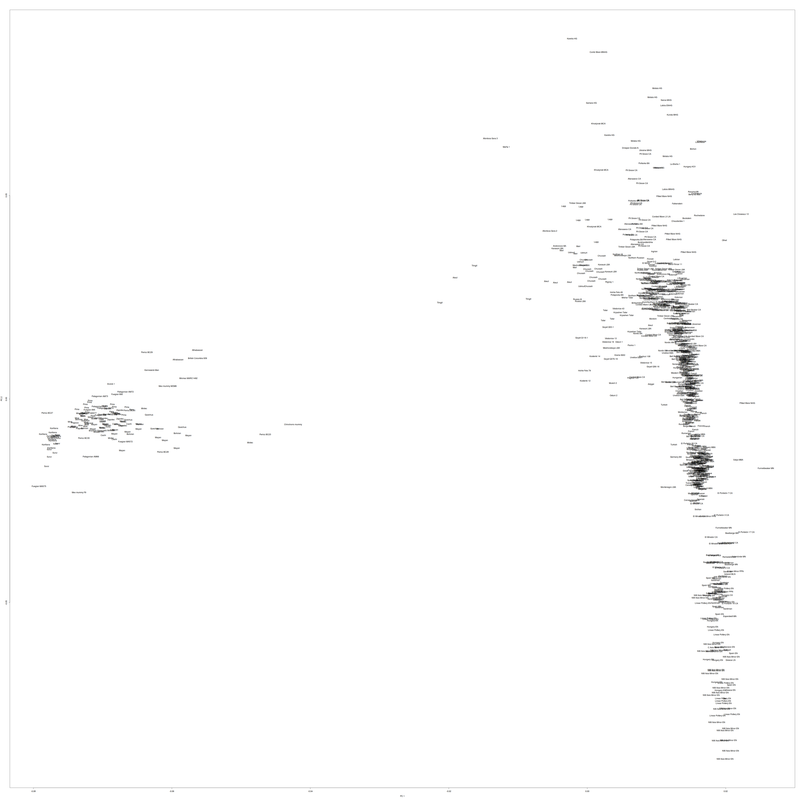 Below is another PCA plot, with the Caucasoid samples restricted to those having a positive value of the second principal component in the first plot, which excludes the Middle Eastern samples, leaving only the European samples. The positions of the Amerindian samples are similar, but now BC23 is horizontally between the Mixtec sample and the Chinchorro mummy sample.